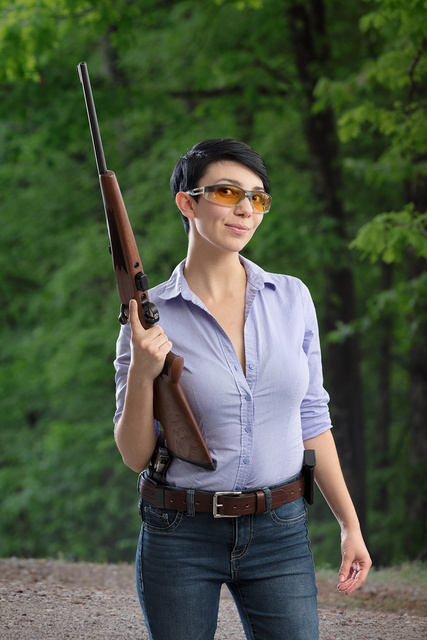 Since so many of my friends and models are petite, I have a special fondness for youth guns. And having them on hand, I have an excuse to shoot them myself. This model 722 rimfire carbine is one of my favorites. Great present for a teen or an adult. This entry was posted in rifle, weapon and tagged 22LR, bolt action. Bookmark the permalink.